The Brazilian Real has been one of the world’s strongest currencies this year, largely thanks to local investors who have put their faith in the new administration. But in 2018, it was an entirely different story. 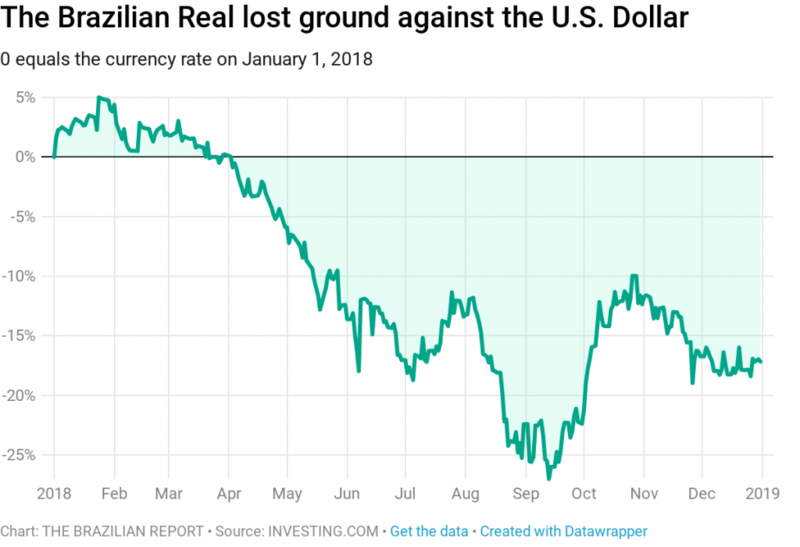 Due to the political uncertainties of last year’s presidential campaign—and there were many—the Brazilian Real lost 17 percent against the U.S. dollar. This did have one positive side effect, however, boosting the inflow of foreign tourists looking for cheaper holidays. 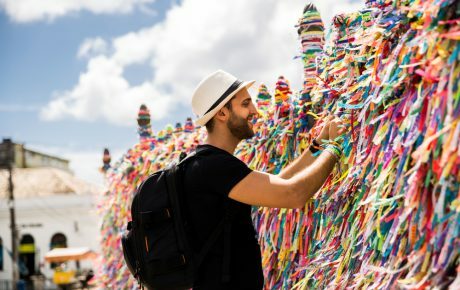 The Ministry of Tourism estimated a 3.3-percent growth in the number of foreign tourists who came to Brazil in 2018, taking the total up to a record 6.8 million. That pushed foreign exchange income to USD 5.4 billion between January and November 2018—2.3 percent more than in 2017. Even the number of domestic trips went up, as the country slowly tried to claw itself out of its hole. 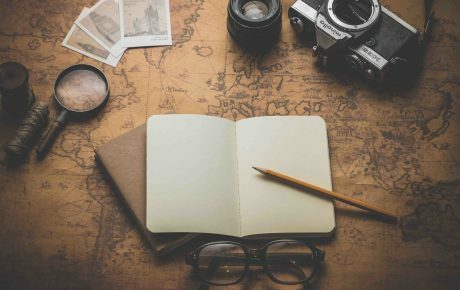 Brazilians traveled within the country a total of 206 million times last year. But not everyone is ready to celebrate these results. While Brazilian airlines saw their number of passengers increase to over 100 million—after two negative years—their costs soared even higher. In August, the price of kerosene for airplane fuel reached an all-time high, due to Petrobras’ new fuel pricing policies. The state-run company holds a de facto monopoly over the refining market. That led to a combined loss of BRL 2 billion in 2018 for the four biggest airlines in Brazil: Gol, Latam, Azul, and Avianca. This, despite a 15.9-percent increase in their net revenue. 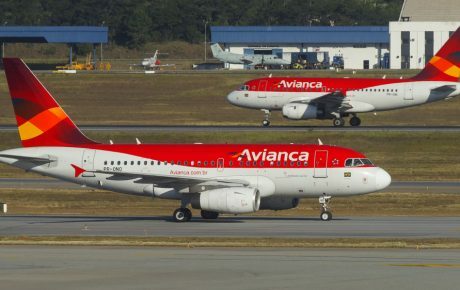 In December, Avianca Brasil began operating under court-supervised reorganization, one step away from bankruptcy. The company has had to return seven leased airplanes due to unpaid debts and has given up on most of its international routes—the company has yet to see the light at the end of the tunnel. Passengers also felt the effects of the last year’s devaluation of the BRL. 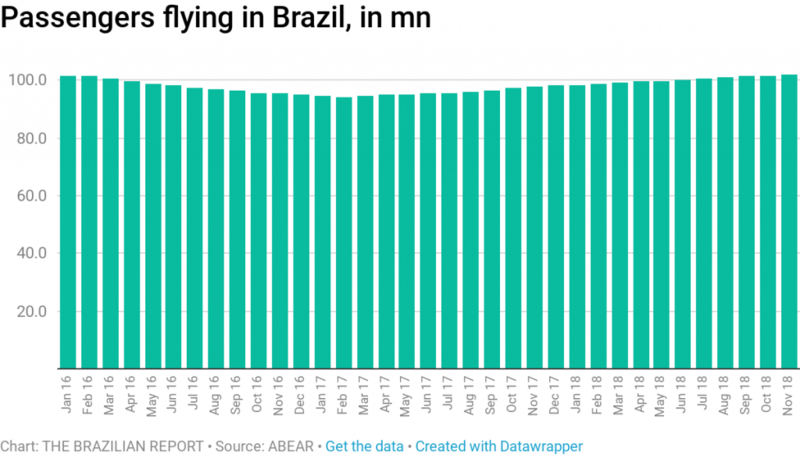 According to the most recent data available from Brazil’s civil aviation regulator Anac, the average domestic ticket price increased 0.3 percent in the third quarter of 2018 in relation to the previous year. Companies are lobbying for changes in regulation to level the playing field. According to Abear, an association of national airlines, a new rule allowing companies to charge for checked baggage—and sell cheaper tickets for passengers traveling with carry-on luggage only—has helped to recover around 3 million passengers in 2018. Also, by the end of last year, then-President Michel Temer signed a decree allowing Brazilian airlines to be owned entirely by foreign capital. The former head of state argued the measure will make the sector more competitive and attractive for investors. Minister of Tourism Marcelo Álvaro Antônio told Reuters that Brazil is willing to eliminate the requirement for American citizens to obtain visas before visiting the country. 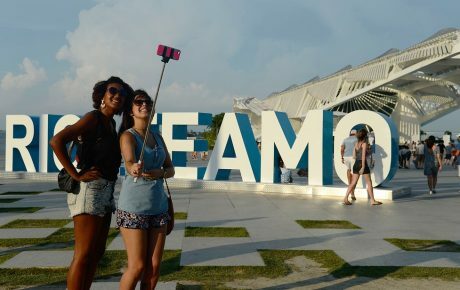 While the move could help strengthen ties between Brasília and Washington, it also aims at increasing the arrival of tourists. Today, Americans pay between USD 44 and 160 for visas (similar to what Brazilians pay for their U.S. visas). 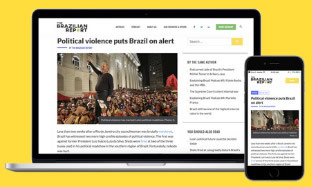 Part of President Jair Bolsonaro’s priorities for his first 100 days in office, the move is an old demand from the Ministry of Tourism, which believes it could help boost the economy. Traditionally, however, the Ministry of Foreign Affairs stands by the principle of reciprocity for visa rules, only demanding visas from countries which ask the same of Brazilian citizens. The Minister of Tourism also said Brazil could do the same for Canada, Japan, and Australia. None of the four countries is expected to loosen visa rules for Brazilians, however. Will visa exemptions really boost tourism in Brazil? 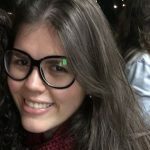 Do you need a visa to visit Brazil? Why aren’t tourists flocking to Brazil?